The temperatures of seemingly frigid alien planets could be boosted by hydrogen-spewing volcanoes. That could be enough to maintain liquid water on their surfaces, making the worlds potentially habitable. Scientists determined that the “habitable zone” – the range of distances from a star that can support liquid water on a world’s surface, expands when planets have hydrogen in their atmospheres. The problem is: hydrogen is very light gas, it quickly escapes to space, leaving such planets devoid of it within a few tens of millions of years. According to the new study, active volcanoes could change that. 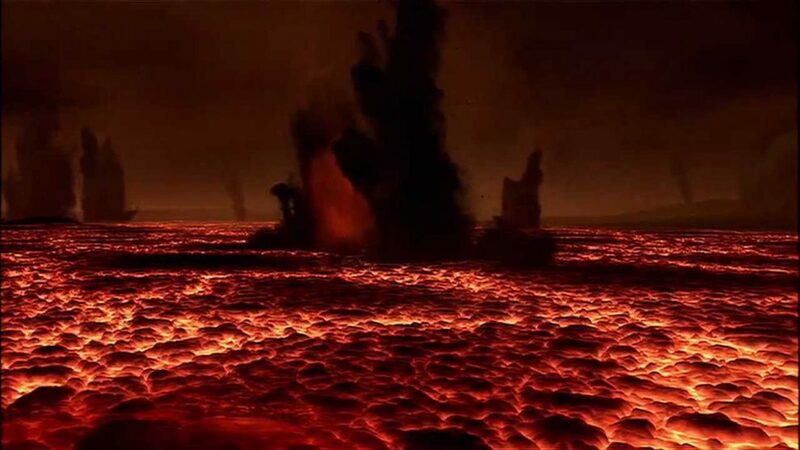 “Our volcanic-hydrogen habitable zone is different, because so long as volcanism is intense enough, it can outpace the rate at which hydrogen escapes into space,”says lead author Ramses Ramirez, a planetary scientist at Cornell University in New York. 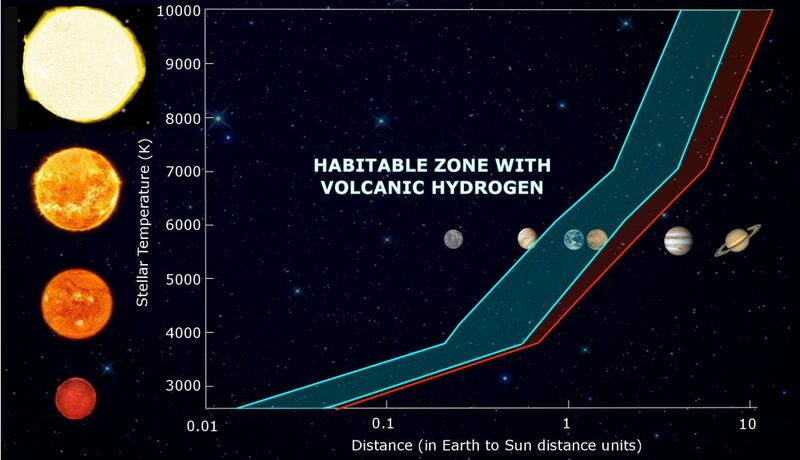 Active hydrogen-rich volcanos could continue to resupply a planet with a hydrogen atmosphere, which may increase the size of the habitable zone by 60 percent, immensely extending the region where habitable planets might lie. Water is crucial to life, that is why the hunt for signs of life tends to focus on the habitable zone. The process works well for small planets like Mars, where internal processes would keep the mantle hydrogen-rich. When volcanoes spew lava from the mantle, they can release hydrogen and hydrogen-rich gases into the atmosphere. That doesn’t mean larger worlds are incapable of supporting life. While massive super-Earths are more likely to release hydrogen-poor gases into the air, they could still have enough volcanoes spewing material to outpace the escape of hydrogen into space. Such large worlds also have gravity and are more likely to boast magnetic fields, both of which slow down hydrogen’s escape into space. The exact properties of these volcanoes would depend on their home planet. Planet’s mass and whether it has plate tectonics play key roles in building its volcanoes. On Earth, collision and disruption of the crust through tectonics mix up the material that becomes the lava, creating a variety of chemical compositions.